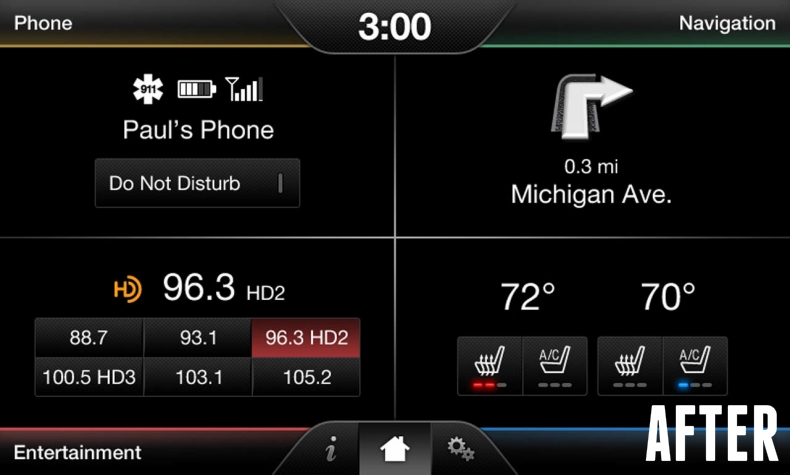 Want to add factory OEM navigation to MyFord Touch / MyTouch? 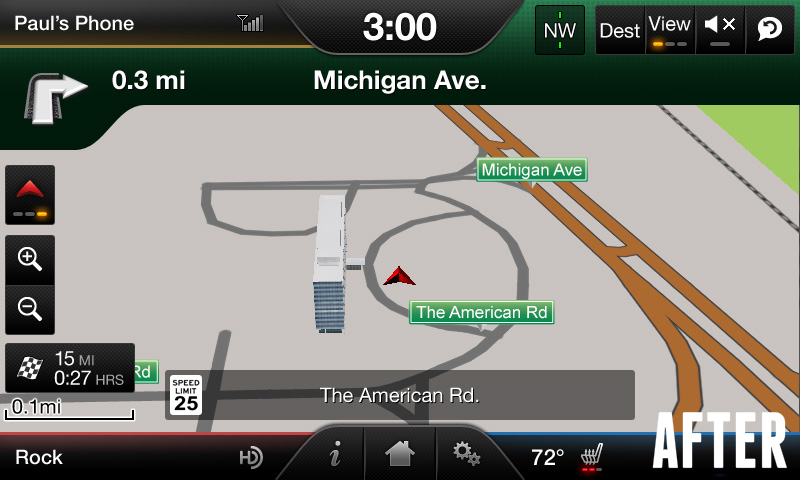 Our complete Escape Navigation kit contains genuine Ford parts, includes everything needed and comes pre-programmed. Check out videos or user manual below to see how it works! The product works as advertised and the instructions were well laid out for my 2014 Ford Escape SE. Took me 30 minutes to do it myself. My existing SirrusXM worked right away. I didnt have to do anything. The cost however due to shipping, exchange rates and duty fee did not make it economical. I found that I could get the same product from a local ford dealer for $100 less. This isnt a knock on 4D. Just warning Canadian users to look locally before ordering from US. I purchased a Navigation upgrade for my '14 Escape 10 months ago. Installation was easy and the system worked great. I began having issues with the Navigation and contacted the Support contact at 4Dtech. Steve @ Tech Support was very helpful and had a new unit sent to me postpaid which I received the very next day. When I installed the new unit, I still had issues and contacted support. Again, Steve worked with me in troubleshooting and forwarded a new SD card. I received the card promptly and my system again works great. I want to recognize 4Dtech's customer service as exemplary. Thank you so much!!! It works fine and was an easy install. It took less than 30 minutes to install. Instructions were right on. It did help seeing a YouTube of the install. Also the information dealing with Sirius concerning Travel link was accurate. They said I couldn't get it and I asked for tech support as you advised. The tech support was able to check the box and everything works great. Took this 78 year old 20 minutes --- have to make sure big connector with lock on top is firmly pushed in all the way down. 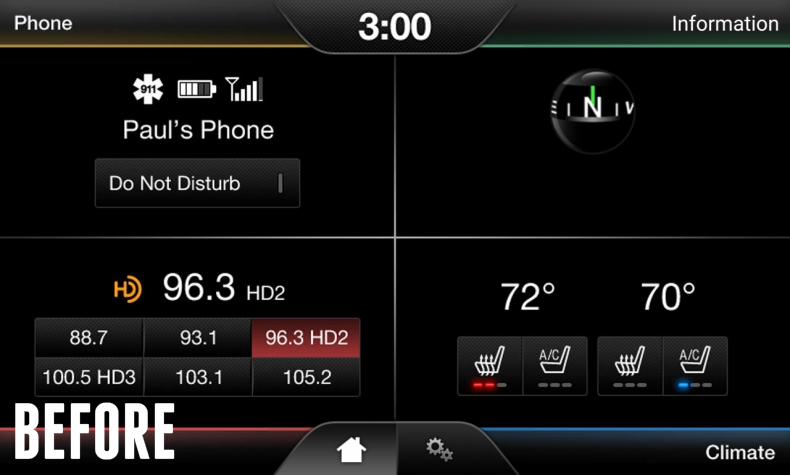 Put Nav unit in 2014 Escape. $4.00 more than new car sticker price of $795. Works wonderfully and very satisfied!